The AR platform is the Mr. Potato Head of rifles. From the .22 rimfire to the .458 SOCOM, the AR-15 is available in a host of different calibers. The newest and brightest addition to the AR-15 family is a 5.56mm diameter cartridge with more punch and long-range potential than the .223 Remington. The .224 Valkyrie is a highly-developed cartridge with excellent long-range potential. The .224 Valkyrie is designed to remain supersonic to 1,300 yards. The .224 Valkyrie is immensely interesting, more so with the introduction of a premium-grade rifle for the cartridge. An initial .224 Valkyrie loading was the Sierra MATCHKING 90-grain load. I have also used the 60-grain Nosler Ballistic Tip Varmint load and the 75-grain American Eagle loading—all from Federal Cartridge Company. The 90-grain bullet should be suitable for deer-sized game and the 60-grain bullet would be a great varmint load. The 90-grain bullet breaks 2,700 fps and the velocity is maintained to 1,950 fps at 500 yards. At a long 1,000 yards, the load is still hitting nearly 1,360 fps. (This is 24-inch barrel velocity.) The goal is to provide a cartridge that shoots flat and is easy to hit targets with at long range. With all cartridges there is some buffeting when the cartridge goes subsonic. Some bullets handle this better than others. Without this buffeting long range accuracy is easier to obtain. The 90-grain MATCHKING features a ballistic coefficient of .563, which makes for a very solid long-range projectile. The .223 Remington 69-grain .223 MATCHKING has a BC of .301 by comparison. 77-grain 5.56mm bullets typically range to .340. Put simply, the BC of these bullets means the projectile shoots flatter and slips through the wind better. This also means that it hits harder downrange because of greater retained velocity. This is a rifle and cartridge for the hardest duty. The 90-grain Federal load using the Sierra MATCHKING bullet generates 1,457 foot pounds of energy. At a long 1,000 yards, 369 foot pounds of energy is retained. The .224 is a light kicker. Repeatability is high without having to reaffirm the sight picture after each shot, or at a minor adjustment at most. Interestingly, the .224 Valkyrie is based on the 6.8 case necked down to .224. The 6.8 hits harder than the 5.56mm at close range, but it isn’t a long range cartridge in the class with the .224 Valkyrie. The .224 Valkyrie is intended to go against the 6.5 Creedmoor as a long-range champion, An advantage of the .224 Valkyrie is that it may be chambered in 5.56mm size rifles rather than the heavier, less standard and sometimes more expensive, AR 10 rifle. Federal Cartridge is going all out with the .224 Valkyrie and the cartridge is not only available, it is affordable. The cartridge will fall between the 5.56mm and 6.5 Creedmoor in price, but closer to the 5.56mm. The cartridge hits flat and hard because gravity doesn’t have time to work on it. Gravity affects stones and cotton equally. The amount of drop is determined by duration, so a fast bullet drops less at a given yardage. The Leupold scope was responsible for much of the rifle’s excellent potential. I fired most of the .224 Valkyrie loads with the Wilson Combat Super Sniper. This 20-inch barrel AR-15 is supplied with the Leupold Vari-X 4 x 12 x 40. There were no malfunctions of any type, but the rifle remained tight. The rifle isn’t inexpensive at a total cost with optics of about $4,000. Hand fitting and labor are involved in a rifle like this, and the production of top grade receivers makes for a tight fit. With this type of background, the rifle is intended to be more accurate than most and light enough to be useful as a tactical and hunting rifle. The rifle’s match-grade heavy barrel is hand fitted, and the machine work is flawless. This rifle is custom fitted to ensure the alignment of the bore axis is mated with the chamber and bore to provide top grade accuracy. 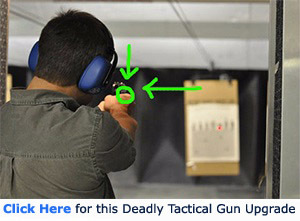 A stiff barrel that is properly fitted is certain to provide good accuracy. The self-loading Super Sniper is superior, in my opinion, to a bolt-action rifle. The AR-15-based Super Sniper offers an instant second shot, and the ability to direct accurate fire on target with an instant repeat shot. You do not mash the 3.5-pound trigger with 5 pounds of force, something many shooters do not master. The rifle is superbly accurate. The Wilson Combat Super Sniper is reliable, accurate, and lively to handle. The rifle was delivered with a single magazine marked 6.8. 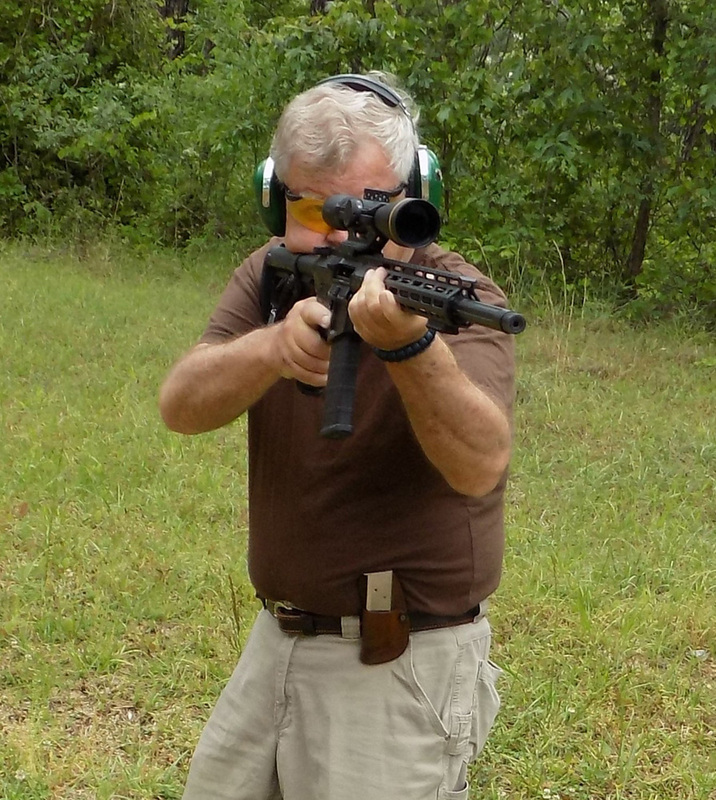 I complimented this 10-round magazine with several 20- and 30-round AR 15 5.56mm magazines. The magazines fed and functioned without any difficulty. However, the MagPul polymer magazine spread slightly with the fatter .224 Valkyrie magazines and was difficult to insert. By loading only 18 rounds in the 30-round magazine, there was no problem inserting the magazine. I would be certain to check the seams and welds of the magazines for stress as you use the .224, or simply order 6.8 specific magazines. During the firing of 400 .224 Valkyrie cartridges from Federal Cartridge Company, there were no malfunctions of any type. During the first few cartridges fired, I fired a three-shot group with two bullets through the same hole and one touching, actually one single hole with the three bullets forming one hole in the paper. This rifle will compliment a trained shooter. The longest yardage, I was able to fire the rifle at was 200 yards. At this range, firing carefully with the 90-grain SMK loading, I was able to secure several one-inch groups. One-half MOA at 200 yards is good enough to ride with. This is a great rifle with much to recommend. For use by special teams, the rifle offers excellent accuracy, hits hard, and allows the engagement of multiple targets quickly. The .224 Valkyrie is going to make a big mark on the shooting world. .224 Caliber, this is a surprise to see this one one come out; However I was hoping it would be more affordable; heard many complaints that the high cost of weapons is starting to be the way to push gun control as pretty soon none will be able to afford them and the Liberals will win! $4,000. Is way our of many of my league for a beautiful gun like this! Hope these Prices come down a little; to be more affordable! No, you cannot and should not use 556 in a 223 barrel. 556 pressures are too high for a 223. He shot some 3 shot groups. How about shooting some 5 shot groups? People are having trouble getting good 5 shot groups with this cartridge. A lot of people are shooting 75 gr. bullets which they can hand load closer to the lands for better groups but are not getting results with the longer 90 SMK’s or 88 gr. Hor. ELD’s which loaded at magazine length are still to far from the lands and are producing poor groups in most rifles. I have CMMG in 224 Valkyrie and like the 90 gr Federal. I honestly haven’t shot it enough to say it’s broke in. Need to play with it more. I put on an Athlon Cronus scope. This set up is for long range. Scope was around $1700 and rifle $1700. Sighted in at 200. Set scope for 400 yd 12” steel. 1 shot hit steel. Set for 500 yds hit 3 consecutive hits. Set for 600 yds and 3 more consecutive hits. Making 7 consecutive hits on 12” targets. Temp was 100 degrees with hardy any wind. I want to test further to 1320 yds but haven’t yet. Very impressed. 2 witnesses. I have CMMG in 224 Valkyrie and like the 90 gr Federal. I honestly haven’t shot it enough to say it’s broke in. Need to play with it more. I put on an Athlon Cronus scope. This set up is for long range. Scope was around $1700 and rifle $1700. Sighted in at 200. Set scope for 400 yd 12” steel. 1 shot hit steel. Set for 500 yds hit 3 consecutive hits. Set for 600 yds and 3 more consecutive hits. Making 7 consecutive hits on 12” targets. Temp was 100 degrees with hardly any wind. I want to test further to 1320 yds but haven’t yet. Very impressed. 2 witnesses.